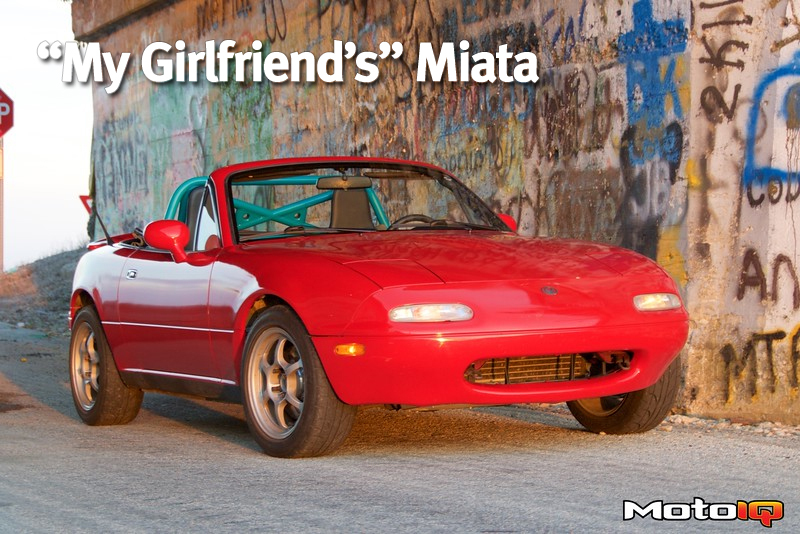 An update for My Girlfriend’s Miata Project has us dipping our toes into the world of aerodynamic performance. I feel as this is an often overlooked aspect of street car performance and another area we shall address as we try to improve all aspects of our Miata platform. We’ll hold off on improving downforce/reducing drag for a future article and instead start with improving reliability through better control of the air for the cooling system. Here's our OEM undertray in all its glory. Oily, broken and with a hint of overspray for that classy touch. If it weren't broken, the OEM design isn't terrible. 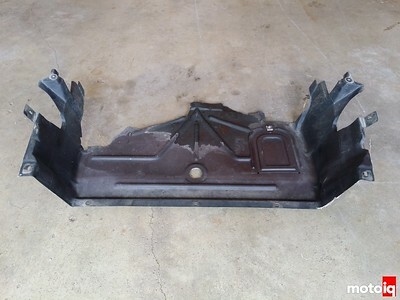 Mazda sealed the sides and mounted the tray to the bumper's inlet, but there is one glaring mistake. What's the deal with the large air gap beneath the radiator? Is it missing parts? Drag reduction? Turbofan bypass? All I know is that the gap's gotta go! The more I work on it, the more I notice that Mazda put a hell of a lot of time and care into this platform. From the factory, the radiator has a well designed shroud to channel air into it, but there is definitely room for improvement. The biggest area for upgrade on our particular Miata was that the factory plastic shroud was damaged and falling off. It can’t really work right if it isn’t really attached. 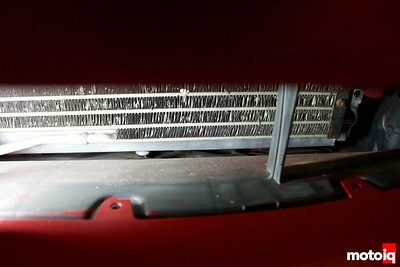 That being said, even if it were in perfect condition the OEM shroud left a sizable gap that would let our well-channelled air bypass the radiator, reducing cooling efficiency. Why they did this I am uncertain, but this was unacceptable after installing our beautiful Koyo radiator and had to be addressed. When I saw the issue with the factory shroud, I knew immediately what I would do if I were to improve upon the design. I’d keep everything as is, but add a seal between the panel and the bottom of the radiator to force all the air through the radiator instead of allowing a large amount to bypass it. I began an internet search looking for the best undertray designs the aftermarket had to offer and when I laid my eyes upon LRB Speed’s design, I knew I had to have it. LRB Speed is a husband and wife team based in Florida who just happen to have an unhealthy obsession with all things rotary. Established in 2014, their goal was to improve upon commonly failing parts of older, FB Mazda RX-7s by replacing said parts with more durable materials. When these upgrades started to hit the market, Mazda enthusiasts of all stripes wanted to have LRB design and manufacture parts for their models. Naturally, LRB began making parts for FC and FD RX-7s, as well as Miatas, RX-8s and they have even branched out into other vehicle makes. LRB Speed's undertray comes in 4 pieces, well packaged and ready to screw together simply. 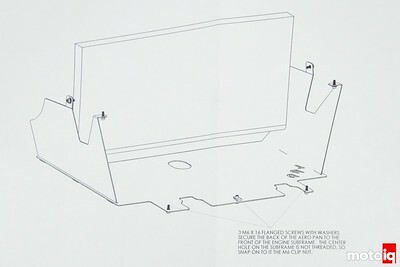 The largest piece is the main aluminum undertray. 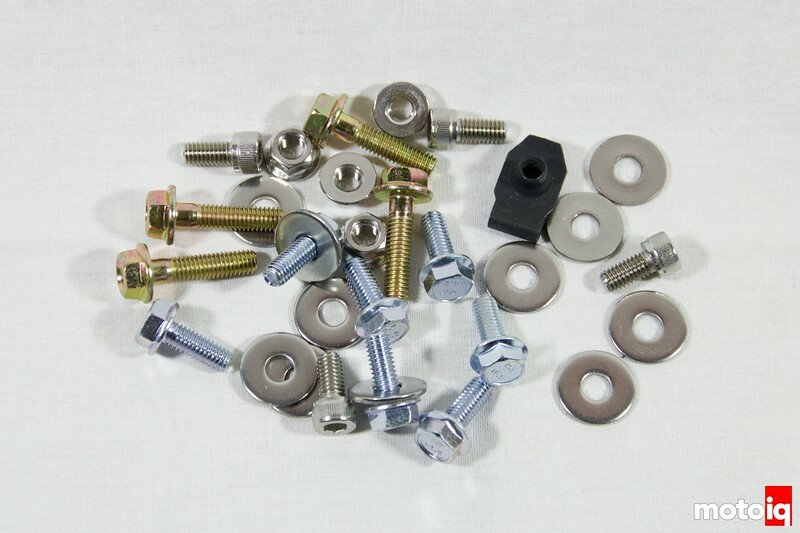 It comes with provisions to mount to the bumper and subframe, reinforcing the entire assembly. The sides bolt onto the car first, with slots for the undertray to slide and lock in place. Everything is precisely bent for sway bar clearance and mounting to existing bolt holes. The final piece of the puzzle is what I liked the most. 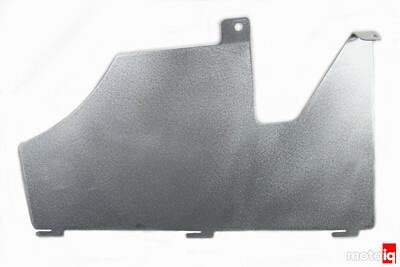 It is a simple piece of bent aluminum that mounts to the main undertray and seals the large gap beneath the radiator on the OEM design. 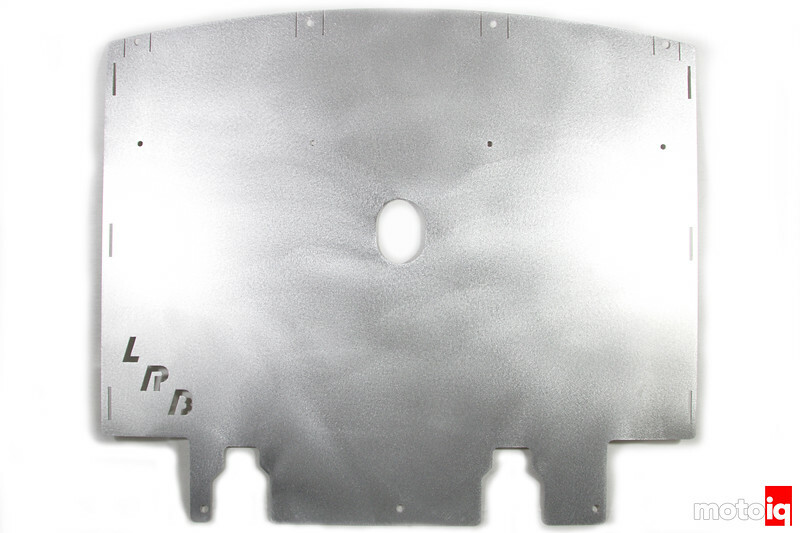 Additionally, we are going with LRB's air diversion cooling panel that mounts under the hood to keep air from spilling over the top of the radiator. 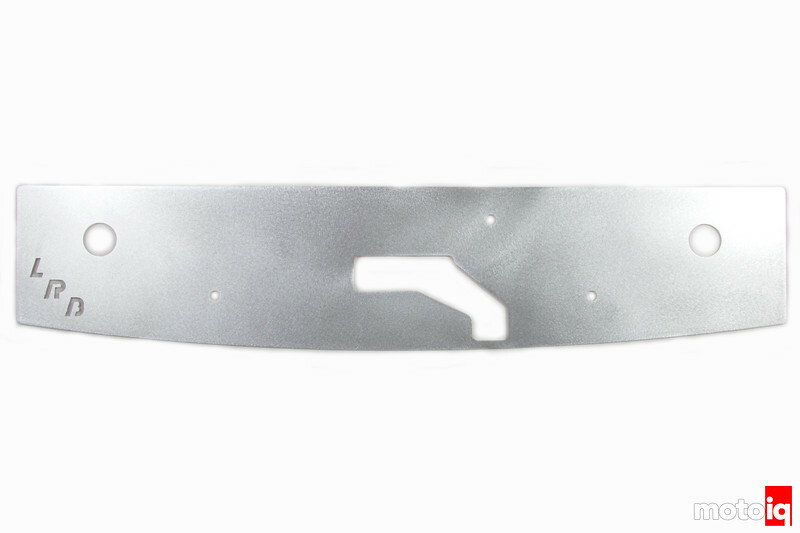 Options for cars with the factory hood latch are available as well as the limited edition models that had the windshield washer reservoir in this area. LRB includes a full set of instructions and parts breakdown with each kit. 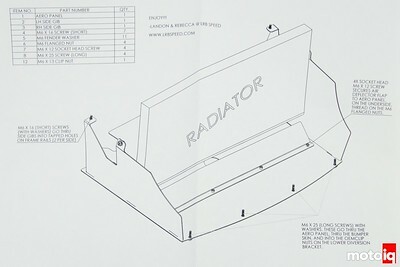 It's with this simple paperwork that we can see how the system works so well, sealing off the sides and bottom of the radiator to get maximum airflow through the radiator, instead of around it. 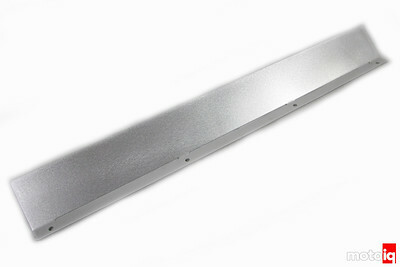 All the hardware for the install is included and is either stainless steel or plated for a long life. I almost feel bad putting this nice hardware on the messy and rusty undercarriage of a Midwestern and neglected Miata. We'll have to address that in the future.